The website Punching Cardboard has put together a nice string of 30 podcasts and their current podcast is all about games that they think are undervalued and underplayed. Each of them had to pick three games that they felt were undervalued – by whatever criteria they wanted. One of them picked Belfort as a game that they believe to be well liked by everyone – but they just don’t see it hit the table as much as they like. Listen to the entire podcast here – or feel free to fast forward to the 36 minute mark to hear them chat about the awesomeness of Belfort for 10-15 minutes! 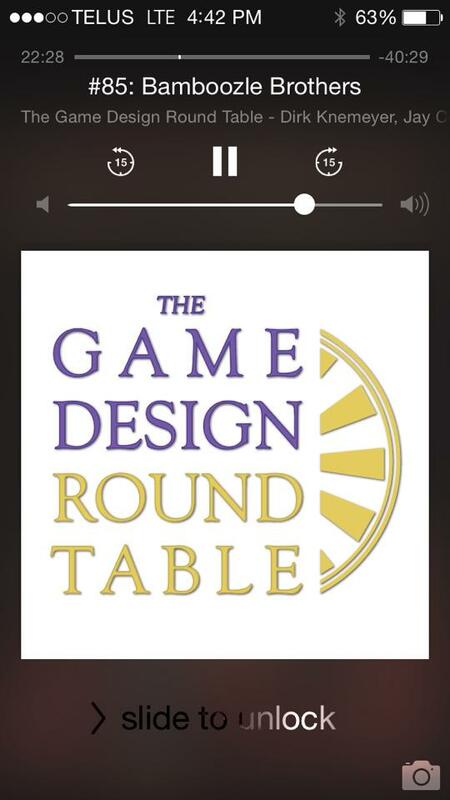 Jay and I were the esteemed guests on the 85th episode of the Game Design Round Table podcast this week. Check it out and let us know what you think! But Wait, There’s More – First Sighting! Our new game from Toy Vault is going to be here soon and we got our first peek at the colourful art for the game! 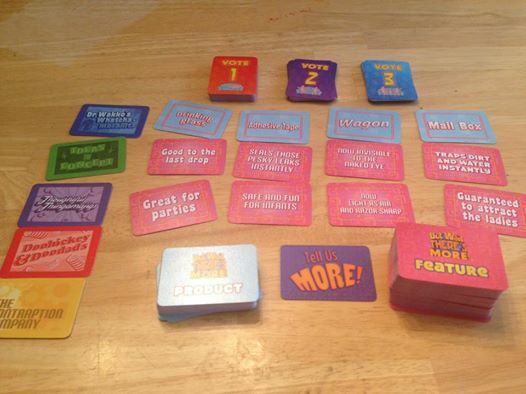 But Wait There’s More is a party game that has players combining informercial phrases together to form impossibly hilarious products. This is definitely the funniest game that Sen and I have created!! Stay tuned for more information about this new game! Here’s our first look at the art for the game. Indie cardboard just posted a short little interview with me about Micro games! They have been doing a series every Monday called Micro Monday where they interview a designer about micro games. Sen and I have our micro game, This Town Ain’t Big Enough for the 2-4 of Us coming out soon so I got the chance to answer some questions about the format. Tortuga is anticipated! This Town Ain’t Big Enough is coming! 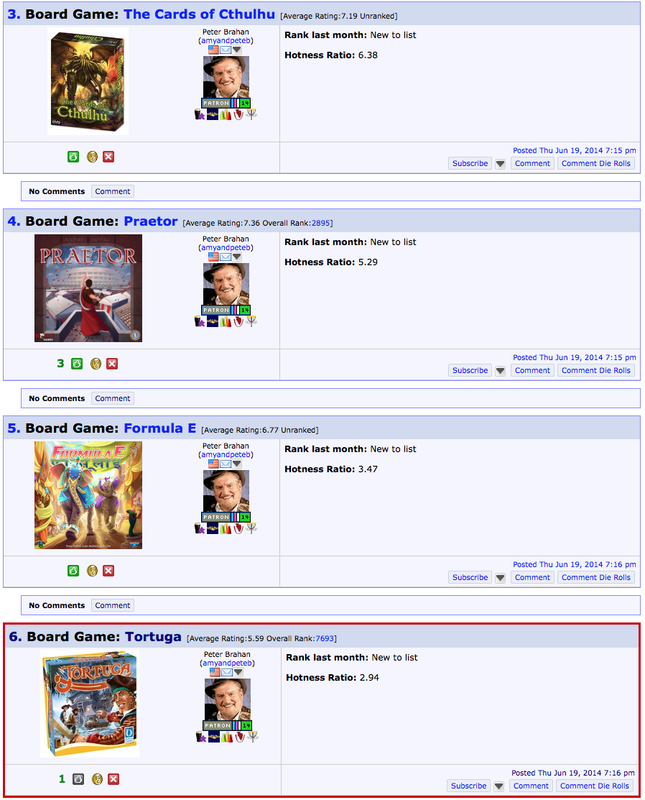 Our new game, Tortuga is the 6th most anticipated board game this month, according to users of boardgamegeek.com. They use some not-so-fancy math skills to determine which games players are looking forward to the most – and Tortuga is in the top 10! In other news, This Town Ain’t Big Enough for the 2-4 of Us – which was successfully Kickstarted earlier this year, is on its way to the Americas! Once here then TMG will start shipping it out to all the backers – by August at the latest they say. After that if anyone wants to get the game for themselves, it won’t be available in retail stores, but solely from TMG’s new website that will be launching later this year! Here are some pics of what the game looks like – pretty spiffy! 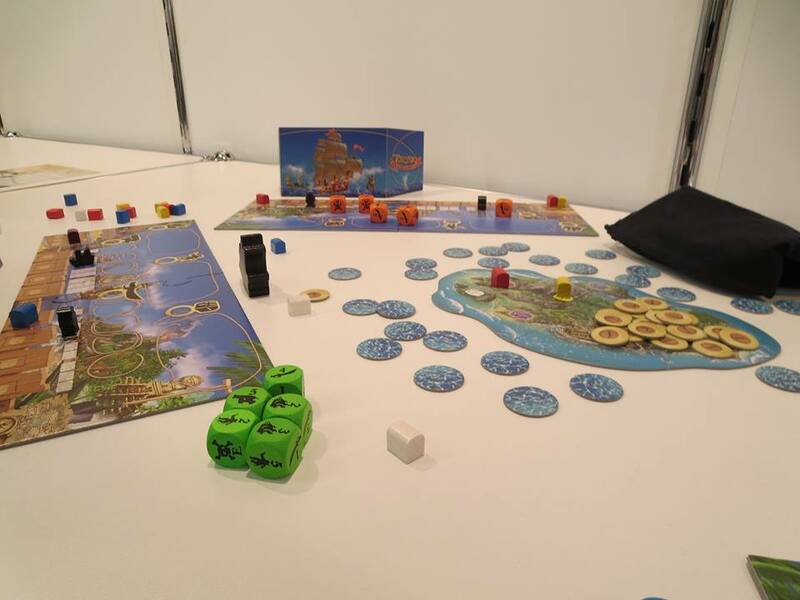 First English review of Tortuga washes ashore! I was pleasantly surprised with how well Tortuga played. We all were in fact, and one of our play group decided to buy it the following day. It is fairly cheap, quick and easy to play, entertaining throughout and deceptively strategic. Yay! Thanks Piemaster for reviewing the game! Here’s hoping we get enough interest in the game so we can release some expansions to increase the depth even more for those that want it! !